You may be aware that accessing another computer from your computer is called Remote accessing. This Method is particularly useful technical support persons (may be your friends) to troubleshoot your computer from anywhere in the world. Other than this you can connect your home computer with your work computer in the office for accessing files or any other purpose at the same time. You can connect different computers by using many other ways. One of the popular way of remotely accessing two computers by installing the TeamViewer Software which is better than any other traditional RDP Method. But the Chrome Remote Desktop is way better than TeamViewer and it is much faster than compared to any other Remote Accessing software. I’ve previously reported about this app when it is in beta stage here. Now it is fully available for all users. Chrome Remote Desktop is the Chrome app developed by Google which allows you to access any other computer remotely from your computer in a Chrome browser or in a Chrome Book. Two different computers can be connected for the short-term basis using ad-hoc remote support or on a long-term basis using remote access for files and application. This app is fully cross-platform. So that you can remotely access any other computer running on Windows, Mac and Linux. It is simple, fast, smooth and very easy to run. Chrome Remote Desktop uses Google Servers to authenticate two different computer when you made a remote request. So it is much safer to communicate. Chrome Remote Desktop uses an entirely different kind of protocol from RDP. It uses a video feed instead of sending bitmaps or images, and includes other optimizations to make the experience much better than RDP in most instances. I’ve had the great experience with this Chrome Remote Desktop till now. Personally I’m using this app for troubleshooting my friends computers. It is very smooth, and there is no lag in the performance which is very useful for me to work faster in other computer. 1. 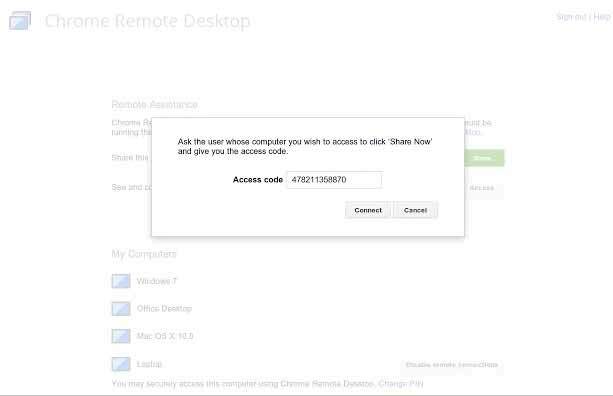 Install this Chrome Remote desktop app from Google Web store and open this from Apps window. 2. when you open this app for a first time, you have to give permission to access your Google Account for this app. Click allow access and run this app. 3. There is two option to choose to remote access any computer. 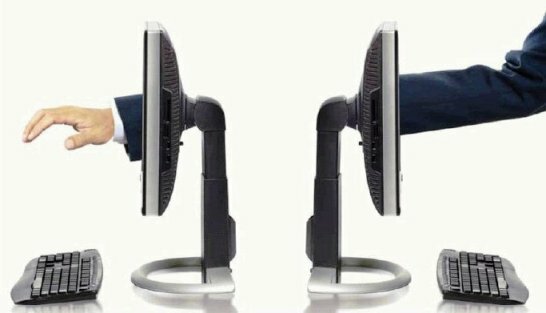 Remote assistance allows you to share your computer screen with your friend or any technical support person to troubleshoot your computer. Both should have this app installed in chrome browser. 4. 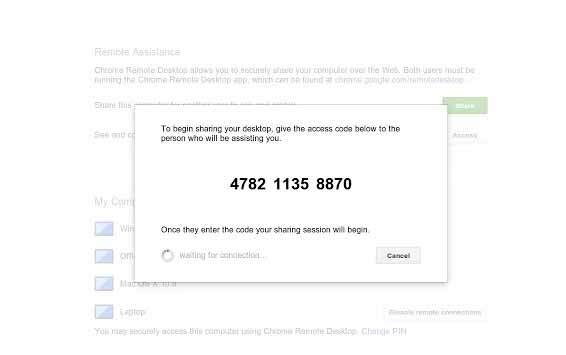 If you want to share your computer with your friend, just click the Share button, it will give you the access code. Then send this access code to your friend to connect with you. 5. Your friend has to enter the access code by clicking the access button. Then hit connect to get your screen on his computer. Note : Google has added the Remote Desktop feature in Google+ Hangout.